Don’t be afraid gentle viewers, it’s a simple enough question. What I mean to say is what draws you into a certain game…or not? 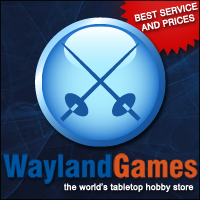 The reason I bring this up is our recent mention of Guild Ball on the site. If you don’t know what I’m talking about then shame on you and you can catch up here: https://thebattlehammer.com/2015/04/21/how-free-is-guild-ball/ and here: https://www.youtube.com/watch?v=wKUvoU2qV0c OK, done? good. Now Guild Ball has grabbed me by the goolies (that’s “junk” for you American types) and I’m really looking forward to checking out a demo game with Mr Straw at Diceni this weekend. I’ve looked around at other sports-type games for a little while now but nothing’s given me that spark of joy that I’ve been wanting. Sure there’s DreadBall, KaosBall and Greebo Fantasy Football available (as well as the classic Blood Bowl if you’re willing to sell most of your major organs) but none of them had any real appeal. Yet Guild Ball has me all aquiver in anticipation, why? Well, I’ve had a little think and I’ve tried to narrow it down in a general sense and it seems to come down to what games are made of. Wargames tend to be broken down into parts, each of which you can judge by your own needs (these are my own generalisations, I’m no game theorist): type, setting, style, rules, minis and company/presentation. Sure, that makes sense, right? Firstly, by “type” I mean a couple of things; what scale it is (6mm, 28mm etc) as well as if it’s a skirmish game, mass battle game, sports-type game or something else entirely. Guild Ball fits because it was a sports game that I was looking for in the first place, on the other hand I’m definitely not wanting another mass battle game in 28mm because we all play 40k so I haven’t even looked at WarZone, comprende? The “setting” is more obvious to us gamers. We’re talking fantasy, sci-fi or historical. Of course, there are variations within these like high fantasy and cyberpunk but that’s also covered in “style“. Guild Ball is set in a fantasy world but without the common tropes of elves, dwarves and orcs. Making the teams based on guilds really adds to the character, giving them a uniqueness without relying on the same old fantasy clichés. “We orcses love us some pointy-ear punchin’ but theyz just too kwik, waaah!” Don’t think I’d enjoy a historical sports game, a bit too much like 1966 edition Subbuteo if you ask me. “Style” is partly a continuation of the setting but also includes artwork, fluff and the general feel of the game. Do you want a hyper-realistic vision of the near future or a fantasy world where everyone you meet has a magic hat with matching unicorn? I think a lot of games can forget what they can convey with emotive artwork, well written fluff pieces and even layout, fonts etc. Guild Ball has this in abundance. Engaging character pieces, a well thought out history and a consistent artistic vision. Just the right side of “comic-booky”, enough to make you think they can do cool stuff and can get away with weird things but with out it looking like Warmachine (sorry, I just don’t like the look of that game, opinions eh?). “Rules“, here we come to the meat and potatoes of the game. If you don’t like the rules you ‘ain’t going to have much fun. I won’t go into too much detail here but I love the way that Guild Ball hasn’t gone down the route of a grid or hex system, makes it feel like a wargame rather than a board game. This is obviously a very personal choice and I won’t tell you what to think here, just be aware of them and what you like. “Minis” are the reason we do this insane hobby in the first place, if you don’t like them you’re buggered, you’ll be looking at them all day. Do they make you want to play the game, do they make you want to paint them? To me, the Guild Ball minis are full of character and look like a pleasure to put brush to. I really like Rage, who seems to be based on “Bill the Butcher ” from Gangs of New York, rabbit an’ all. My, what a nasty piece of work. Love it! When I say “company/presentation” I’m talking about the real world side of the game. 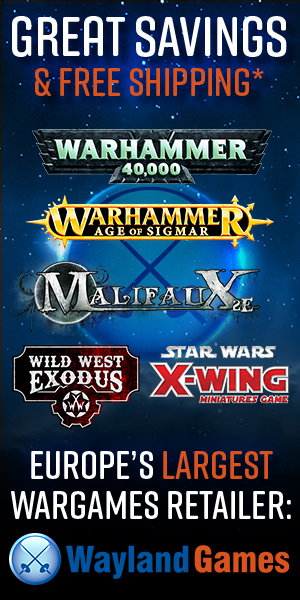 Does the company make it easy for the gamer to enjoy their product or are they an opaque, faceless machine who refuses to concern themselves with such things as timely FAQ’s and game balance (cough cough GW cough)? Again, Guild Ball win the prize. All of the stuff you need to play the game is available online, for free. A large corporation would see this as a mugs choice but Steamforged Games realise that the more people they can expose to it the more people will get hooked. I know that I feel more of a pull to buy the minis almost as a thank you for doing such a good job. And by being present in their forums and facebook page they get the chance to share their thoughts and concerns with us gamers. If only all games were this good. Shows you don’t have to carry a briefcase to act like a professional. Now that’s what I call a professional. And on the show today.. 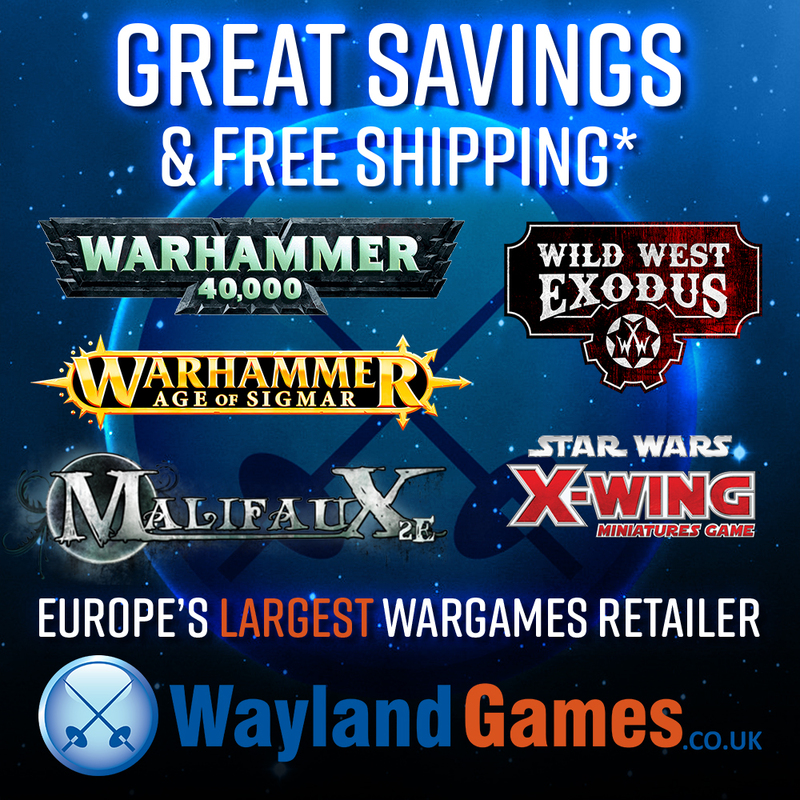 I think the thing that grabs me about the ball of Guilds is the fact it is a small scale game, no need to rush out and buy bucket loads of figures, (would we?) The rules are nice and simple and yet will make for challenging games. Now all we need to do is to get the rest of our gaming group into it and because of its size we can play all our games at the same time, themed tables anyone? Mini tournament anyone? Only one thing left to do, Play ball! Works for me. I was thinking about themed tables too. You could do a summer village one with the remains of a picnic, bales of hay, duck pond and a maypole goal post. A highland pitch with rocks, bramble covered scree and plenty of barrels of booze. What about a town board with a cobbled surface, crates, salesman carts and a market stall or two. Best bit is, they’re only 3’x3′ so it won’t take hundreds of hours of work to do. Huzzah! Might not take hours of work, but it is time we would have to spend not playing!! Hmmm, true, but if I could get my workspace in the loo that could be time better used. Also, thought of doing a pig farm pitch with mud patches for wallowing, pigsties and feeding troughs. Wow, I’m putting too much thought into this.